The National School, built in 1866, replaced Aston's original school which was in the Reading Room near where Aughton Lane meets Worksop Road. The 1866 building was at the corner of Worksop Road and Lodge Lane, together with a house for the Headmaster (now Glebe House, used by Aston Church). Its last two Headmasters were Mr Fisher and then Mr Broadbent. As pupil numbers grew, a new school was built further along Lodge Lane, called Aston Lodge School. 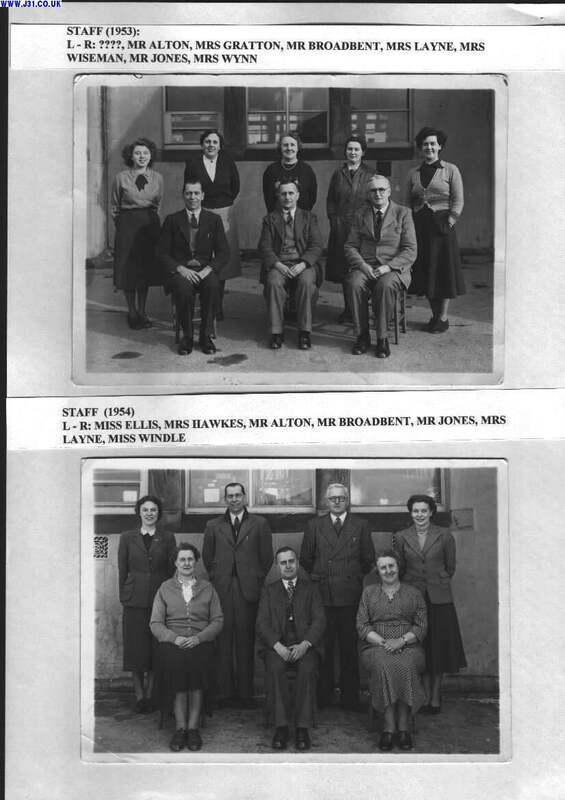 Pupils of the early 1950's may well recognise some of their teachers in the two photographs below. The names on the photos (for the benefit of search engines) are: Mr Alton, Mrs Gratton, Mrs Wiseman, Mrs Layne, Mr Jones, Mrs Wynn, Miss Ellis, Mrs Hawkes, Miss Windle.